We've seen the developer preview, and we're about to get a beta of Microsoft's next major platform, Windows 8. Here's what we know about it. Most people with any interest in technology have now seen or maybe even had hands-on experience with Microsoft's next big thing: Windows 8. And it's clear most that the hybrid mobile-desktop operating system represents a huge risk for the software giant. But many would argue that it’s a risk the company must take in order to become a major force in the brave new world of tablet computing. Whether users will acclimate to the mind-shift required by moving between the two paradigms is something that will partly determine the OS's ultimate success. And what becomes of the more than 1.25 billion Windows desktop users who may not move to the tablet format? As you'll see in the course of this story, desktop users will certainly not be overlooked by Windows 8: Microsoft has committed to supporting any machine that runs Windows 7 with Windows 8. And not only will the newer OS offer improved features in the standard desktop view, but their systems will start up and run noticeably faster—one of the most compelling aspects of Window 8. I first compiled this article before we'd even seen the Developer Preview of Windows 8, and boy have we learned a lot since then. Microsoft has been doling out generous amounts of information about its gestating next operating system, mostly via the Building Windows 8 blog. 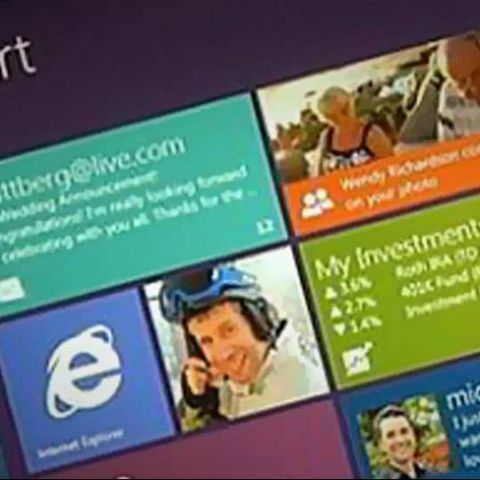 The team responsible for developing the OS, led by Microsoft's President Windows and Windows Live Division Steven Sinofsky, has given the world detailed glimpses into the workings of Windows 8, and offered the public unprecedented feedback opportunities to influence its development. In fact, the latest post on the blog at the time of this writing consists of dozens of user concerns the team has addressed in response to comments on the blog. In the first post, Sinofsky made the bold assertion that Windows 8 will represent the biggest rethinking of the PC operating system since Windows 95. That's quite a statement, considering big-time releases like XP, Vista, and Windows 7 have intervened. Windows 95 was the first version to truly break the bonds of DOS, and Windows 8 also promises to move the PC in a drastically new direction. The team has rethought its every aspect, from the interface down to the file system and memory use. 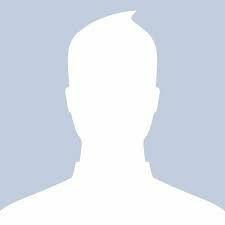 Before we launch into what we know, I'd like to throw out there a few of the unknowns. (I won't, however, go in the whole Rumsfeld issue of known unknowns versus unknown unknowns.) Chief among these is how different Windows 8 will be on non-Intel tablets compared with traditional Windows desktop and laptop configurations. We have yet to see a very powerful Metro app such as those in the Microsoft Office suite. Will non-Intel tablets be able to run powerful desktop apps, or only Metro apps? Will the company ever offer a Metro-only or a Desktop-only version of the OS? Will it be a real threat to the iPad in the tablet space? How much will it cost? When will it go on sale? We'll get more answers when the beta arrives later in February. Putting those questions aside for now, click on to find out what we do know so far. Windows 8 will be radically different. Microsoft considers Windows 8 one of the major paradigm shifts in the history of its operating systems, tantamount to the move to Windows 95 sixteen years ago. That was the first Microsoft OS to truly bid farewell to the underlying DOS command-line system, moving instead to a fully graphical desktop and windowing system. The latest change is prompted by the change in the computing landscape, with mobile, cloud, and social networking taking over. From what Microsoft has shown of it, Windows 8 seems to be an even more radical break from its predecessor than Apple's latest release, OS X Lion, which itself is no small upgrade. Probably the biggest surprise around the computing industry when Microsoft first started spilling about what Windows 8 would entail was that it would run on machines other than those using Intel-compatible processors. In particular, Windows 8 will be able to run on devices powered by ARM- based architectures. A June 2 press release from the 2011 Computex computer trade show in Taipei, Taiwan noted that, "Microsoft and silicon chip makers AMD, Intel Corporation, NVIDIA Corp., Qualcomm Inc. and Texas Instruments Inc. initially announced plans in January to work together on the next version of Windows." Just as Mac OS X Lion borrowed heavily from Apple's iOS mobile operating system that runs on phones and tablets, Windows 8 borrows heavily from Microsoft's mobile operating system, Windows Phone 7. The key feature of this interface is its "live tiles," which both give access to apps and display updated live information such as notifications. But, of course, Windows 8 goes beyond WP7, since there's more screen real estate to deal with. It will offer both full and partial screen views of apps. All apps are full screen but there is a snap feature that puts one app in a sidebar. The kind of tablet Microsoft means when it talks about Windows 8 running on tablets, however, is not an iPad-type device. A Windows 8 tablet will be a full PC, with USB ports (more on that later), full multitasking, an accessible file system, networking capability, printing, and the ability to run any software anyone programs for it, not just what it's maker allows in its app store (more on that, next). A month ago at an event in San Francisco, Microsoft presented the Windows Store to app developers and media. The company made a big point about what a good deal the Store is for developers, offering them 80 percent of the profits after $25K in sales (compared with Apple's 70 percent). Microsoft has even started a blog just about the Windows Store for developers. The app store will resemble that of Apple's Mac App Store, with featured products, ratings, comments, search, category browsing, one-click installation, updating, and the ability to install on up to five machines. One capability it adds is that software makers will be able to offer trial versions on the store. The app certification is more transparent than that offered by Apple's black box, with a clear, published policy. The Store isn't available on the Developer Preview version of Windows 8, but will offer free apps in the upcoming beta. With all the focus on tablets and what Microsoft has called a "touch-centric interface," Windows 8's role in the exiting installed PC base can easily get lost in the mix. We're talking about over 400 million Windows 7 machines, so it's not insignificant for Microsoft to offer an upgrade path for the existing users. In the inaugural post on the Building Windows 8 blog, Windows lead Steven Sinofsky states in no uncertain terms that Windows 8 will run on existing PCs: "It is also important to know that we're 100 percent committed to running the software and supporting the hardware that is compatible with over 400 million Windows 7 licenses already sold and all the Windows 7 yet to be sold." What will happen to the even greater number of PCs that run earlier versions of Windows, particularly XP, is less clear. You'll be able to log in by swiping and tapping a picture. In one of the more whiz-bang techie features introduces by Windows 8, the old alphanumeric password goes bye-bye. The new OS will let you log in simply by, say, touching your dog's nose in a photo, and then swiping from the car's bumper to the doorknob in your home screen photo. A recent post on the Building Windows 8 blog explains why this can be just as secure as the old-style password entry. But just as with choosing a character-based password, there are best practices for making gesture-based logins secure. Microsoft has done some deep under the covers work to get Windows 8 to boot significantly faster than its predecessors. By hibernating the kernel session and reloading it at startup, Microsoft engineers report 30 to 70 percent faster startups on most systems they tested. In my own testing, the same laptop started up 65 performance faster under Windows 8 than under Windows 7, and that was even on an older PC without the new UEFI (Unified Extensible Firmware Interface) boot hardware that Windows 8 can take advantage of. One thing I noticed, however, was that shutdown time was no quicker with the new OS. Several benchmark test also showed faster performance with Window 8, but the fast startup has got to be one of the things about Windows 8 I'm most stoked about. As in any existing mobile operating system, Windows 8 will encourage (though not absolutely require) you to sign into an online identity, in this case, a Windows Live ID. But this will bring some benefits. It will avail you of Windows Live SkyDrive's free 25GB of cloud storage, which can be used by any Windows 8 apps built to take advantage of it. It also means the OS and apps can easily integrate with other Windows Live services, such as Hotmail and Messenger. And maybe most important, it will let you apply your Windows 8 settings and apps to other machines, and allows single sign on to participating websites. Windows top-dog Steven Sinofsky specifically calls out this computing trend in his welcome post on the Building Windows 8 blog: "Storage has jumped from megabytes to terabytes and has moved up to the cloud." And surely Microsoft isn't blind to what Apple is doing with its iCloud service. Microsoft has studied how people work with files in Windows—moving, copying, renaming, and deleting them. The new system will simplify these operations, and combine multiple operations. This makes sense for when you're copying or moving more than one large file at a time. You'll be able to see the throughput for the operation in a graph, and pause and resume it. The estimates of time to completion will be more accurate, and the dialog that appears when you try to copy a file to a location where there's a same-named file has been simplified. Finally, the Windows engineering team has dispensed with some of the confirmation dialogs that delay getting the job done, things like "Are you sure you want to move these files to the Recycle Bin?" Windows 8 lead Stephen Sinofsky recently posted an update about changes to the new File Manager prompted by tester feedback. After reviewing 2200 blog post comments, Microsoft's Engineering System team made some changes. The Beta of Windows 8 will add a choice when copying files to eliminate duplicates, letting you skip copying the same file when there's already a copy at the destination. In the beta, you'll also be able to resume a large file move after the machine wakes from sleep mode. A minor but important fix is that Windows 8 will understand how to properly rotate photos with rotation info in their EXIF data. Now, when I load a photo from my iPhone into Windows 7, the picture is often upside down if I shot using the volume button on the phone. It's a repeated annoyance that Windows 8 will fix for any phone's pictures with the embedded info. This was one of the early rumors about Windows 8 that turned out to be true. Microsoft Designers were trying to find a way to get the most frequently used file management commands out in front of the user, and settled on the ribbon—familiar to Microsoft Office and Windows Live users—as the best way to do this. The ribbon also fits in with Windows 8's emphasis on the touch-based interface. For a more in-depth look at the changes, read Windows 8 Explorer Gets the Ribbon Treatment. It will let you mount ISO and VHD files. The ISO format used by CDs and DVDs includes all the information on the disc—menus as well as video and audio content. To mount an ISO file is like popping the disc into your DVD drive and reading or playing it. In earlier versions of Windows, mounting an ISO as a disk drive required third- party software, but Windows 8 will have this capability built in. For more on this, read Microsoft's Windows 8 Will Support Ripped DVDs. Mobile device users have had a much easier time when it came to clearing out settings and personal data than PC users have. Windows users have had to back up and reinstall the operating system. Windows 8 aims to rectify that. Two new options will be available from the Metro Control Panel, called Refresh and Reset. The first, fully names "Refresh your PC without affecting your files," will keep all your personal settings and files but create a clean operating system installation. The second, fully titled "Reset your PC and start over," is a good option if you want to gift the PC to that niece in Dubuque. With all this table CE focus, Microsoft hasn't forgotten its bread and butter: The corporate customer. Windows 8 will bring a few capabilities just for them: Windows To Go will let them run the OS from a USB key; DirectAccess will give them access to the corporate network without the need for pesky VPN setup. AppLocker lets the IT department enforce security policies, while Active Directory-based will be improved. Deployment will be streamed, with simpler image creation, testing, and activation. For a look at the server version of Windows 8, which will make some of this possible, read our Hands On with Windows Server 8.